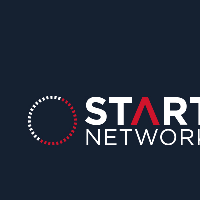 The Start Network is recruiting for two new roles to be based with the Start Team at Save the Children's office in London. The first role will support the improvement of the impact of our humanitarian interventions by developing and supporting consistent, coherent and practical MEAL tools and approaches. This role would suit a leader in a space of practice that is bounded by the following terms: monitoring, evaluation, learning, feedback, evidence, information management, humanitarian financing, capacity building and systems. A key responsibility will be to collaborate with the Start Fund, Build/DEPP MEL teams and MEL teams for longer-term programmatic delivery in providing strategic direction and leading edge thinking to the monitoring, evaluation and learning frameworks and to be an ombudsman for the Network in ensuring buy-in and delivery by all its Members. For more information about this role, and how to apply, please click here. Closing date: 21 June 2015. This role will support the development of information systems and digital architecture for a dispersed and growing network of international humanitarian NGOs. The successful candidate will identify and implement solutions for the information systems needs of the central Start Team and its service delivery teams, for example in Fund, DEPP and MEL. They will work alongside the Start Network Head of Communications. This role would suit a candidate with an entrepreneurial mind set who enjoys working in the digital space and implementing information systems solutions. The successful candidate will have managed a range of senior stakeholders and be capable of overseeing the development of appropriate infrastructure for our growing Network. A second language preferably, French, Spanish, Portuguese or Arabic would be desirable. For more information about this role, and how to apply, please click here. Closing date: 15 June 2015.